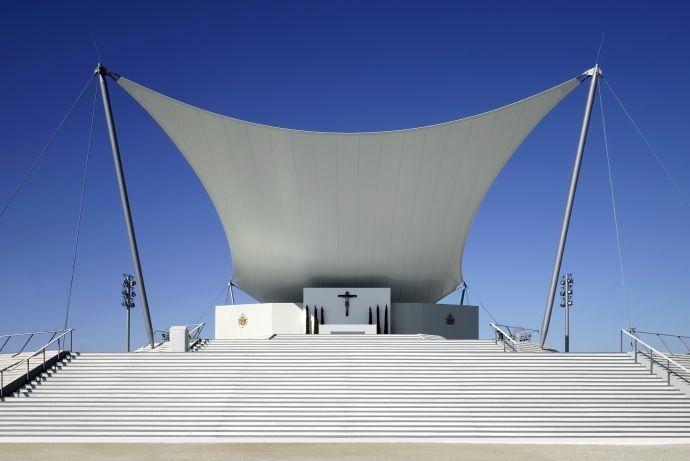 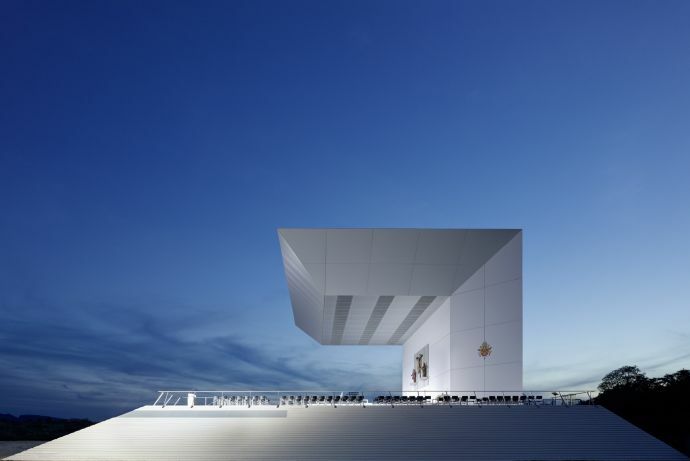 Free-standing pavilion with a surface of 100 x 50 m. The structure consisted of a prestressed roof membrane supported by five centrally located masts and anchored along the edge by a number of guy cables. 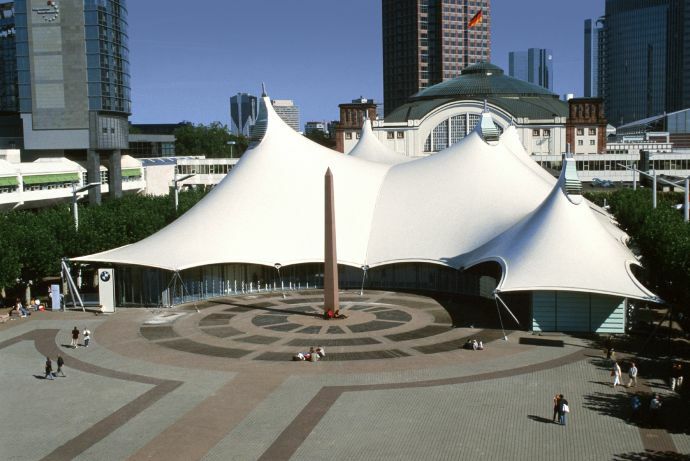 The façade with a maximum height of 5 m consisted of a separate lightweight steel structure with airbags stretched between supports and panels of adjustable glass louvres. 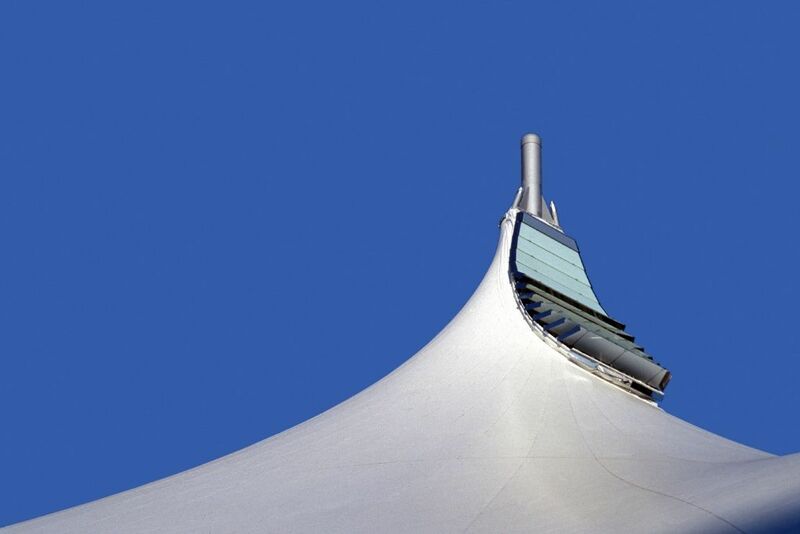 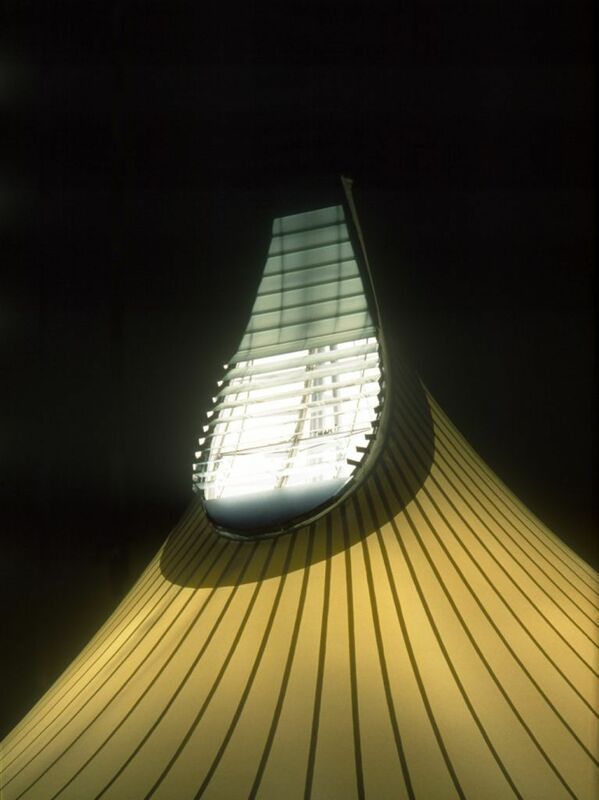 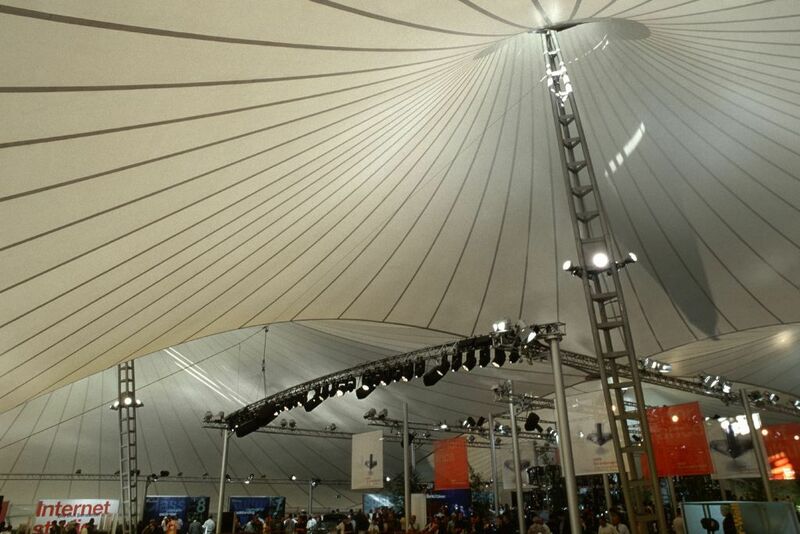 The roof membrane consisting of PVC-coated polyester fabric had a thickness of only 1 mm for spans of up to 50 m.